Weather you're celebrating with your sweetheart or relaxing with a glass of wine and a chick flick, a lovely bit of silk or lace makes for a decadent Valentine's evening. Since lingerie is such a personal item, I much prefer to sew my own to fit perfectly and custom made with my favorite colors and fabrics. I love to sew lingerie because it's a quick and often simple project that uses very little material. 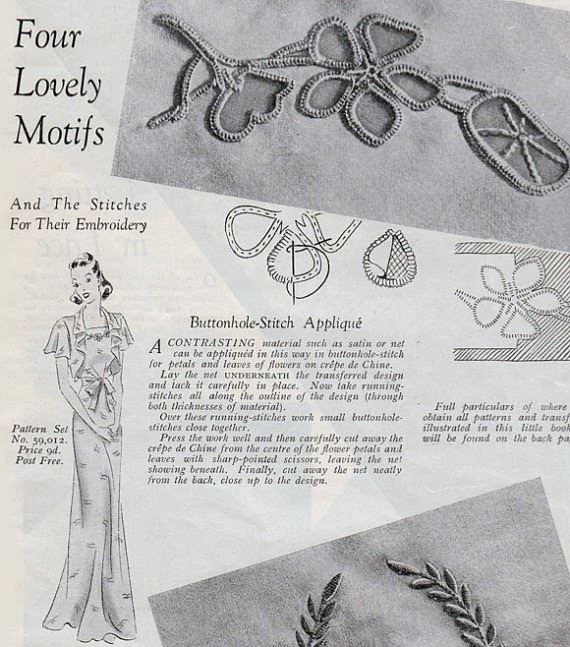 You can get so many wonderful instructions for fancy lingerie details from this 1940s PDF booklet "Pretty Pretties"
For the boudoir, Mrs Depew carries several garter belt and girdle styles from the 1920s to 1950s. This 1940s bra, trimmed in lace is quite daring and alluring when paired with any of the vintage tap pants styles. Mrs Depew hosted the Oh La La Pin Up Sew-Along on her blog in February of 2012 . The bra, french garter belt and Pretty Pretties booklet are all available in a printable pdf kit. For the lady who loves to lounge in vintage fineries, enjoy patterns for step-ins, housecoats and robes. 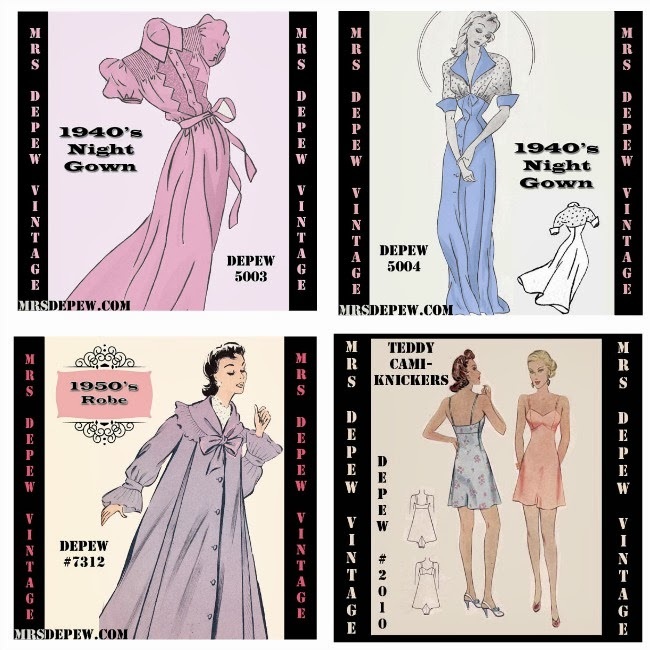 Mrs Depew has an amazing collection of 1940s night gowns and 1920s negligees, sure to bring sweet dreams! Lingerie never stops at special occasions. For daily wear, sew your own vintage style bras, tap pants, slips and petticoats for the perfect fit with all of the vintage details that you love. Sewing lingerie goes by so quick once you make a well-fitted muslin. Spend a weekend with your favorite movies, a pot of tea and design an entire collection of couture vintage lingerie.